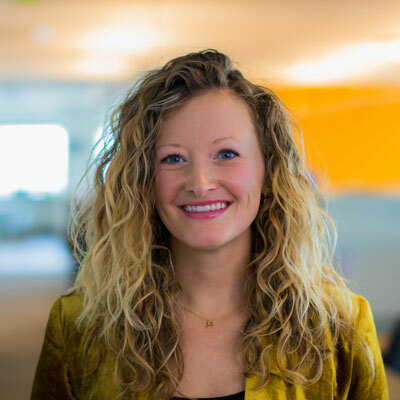 As the Vice President of Channel at Pax8, the leading value-added cloud distributor, Jennifer Bodell is responsible for the strategic direction of the company's field marketing efforts and key IT channel relationships, including new growth opportunities and partner program development. Before joining Pax8, Bodell held multiple channel-focused leadership positions at StorageCraft. Throughout her career, Bodell has earned several achievements including CRN's Power 100 in 2017 and 2016, CRN 2017 and 2016 Women of the Channel, on CRN's 2017 100 People You Don't Know But Should list, HTG's 2016 Presenter of the Year, and she was named a 2015 Rising Star by the Utah American Marketing Association. Under her leadership in 2017, Pax8 was honored with more than 25 field marketing awards, including Best in Show at NexGen, Best in Show at XChange, Rookie of the Year at HTG, and ASCII's Distributor of the Year. She holds a bachelor's degree in Business Communications from the University of Utah. In 2017, I helped grow the Pax8 partner base by more than 291 percent through strategic field marketing and sales initiatives. The company also acquired more than 40 awards, many of which I played an integral role in obtaining at IT conferences throughout the country. The most notable awards include Best in Show at XChange, NexGen, ASCII Houston, and MSPWorld; Rookie of the Year at HTG; The ASCII Group's Distributor of the Year and Best Presentation at multiple events; and many more. With a proven track record of delivering a strong performance in 2017, Pax8 saw more than 450 percent revenue growth in a highly-competitive market. We continued to bring more benefits to partners through the Pax8 partner program because of planning, development, and our listening tour at conferences throughout the country. I was also selected to join CompTIA's Future Leaders Board and Channel Partners/Channel Futures Advisory Board. As a woman in IT, it is important to me to give back, volunteer, and mentor new comers in the industry. My participation on the boards allows me to scale my reach and offer a diversified approach in the industry. In my role, my primary objective is to develop and implement a field marketing strategy, including customer acquisition, community relations, and brand awareness. In 2018, my goals are to provide the best customer experience in the industry, expand the field marketing team, and grow partner transactions. We will continue to engage MSPs at IT conferences, including the development of more innovative processes to help them become more efficient, profitably grow, and scale. For example, in 2017, we launched the most comprehensive ConnectWise integration in the industry, creating a better experience for MSPs while offering more automation. Through the company's field marketing strategy and my leadership, Pax8 has won more than 40 awards in 2017. In 2017, we were the most awarded company in the IT channel. The most notable awards and accomplishments this year include: ComputerWorld Best Places to Work in IT, Denver Business Journal's Best Places to Work, 2017 CRN Coolest Cloud Vendor, CRN 5-Star Partner Program, HTG Rookie of the Year, Distributor of the Year by The ASCII Group, Best in Show at XChange 2017, OUTSIDE's Best Places to Work, and much more. Outside of my family, I most admire my dear friend Michelle. We have been friends for more than 20 years, and she never ceases to amaze me with her accomplishments, drive, and elegance. She is a force in her career, but she also maintains a positive work-life balance. And, she is always there for me when I need her, offering great advice to help me succeed in all walks of life. I would lend my sixteen year old self three key pieces of advice. First, don't sweat the small stuff. Life is a precious gift, and it is too short to worry about things that won't have a lasting, meaningful impact. Second, not everyone may like you, but they can and should respect you. Third, keep working hard because you can accomplish anything you want to do. The only failure would be if you didn't try it. If I could master a new job-related skill, I would like to be more technical. One of the reasons I love working in IT is because it is fast-moving and always changing. If I were more technical, it would enable me to better educate and train others to succeed in the industry. The best book I read in 2017 was Crucial Conversations by Patterson, Grenny, McMillan, and Switzler. This book was given to me by Arlin Sorensen, founder and leader at HTG. Based on my impression of the book, it is one that everyone should read because it offers the tools needed to approach new opportunities when the stakes are high.